Silent Partner Technologies has been able to add another success story to its list. Over the years we have been lucky to be a part of CFFCA (Central Florida Fire Chiefs Association) Lunch Meeting & an annual 3rd Alarm Partner showcase held at the Hilton – Orlando. We have had the opportunity to be a regular part of these meetings and like all times, everyone in attendance were given a warm welcome, the retirees and guests in attendance were introduced and welcomed by the membership. The agenda of this meeting was to browse the many inside/outside displays on innovative products services, fire/rescue/EMS equipment and fir/rescue/apparatus. The meeting was to establish and support common goals provide information towards the development of better services using the products available. Each year this meeting brings in new opportunities and most time is put in to browse and enjoy the showcase of the apparatus displays. Bennett Fire Products, Co., Inc. The agenda of this meeting was to bring in working apparatus and products that ease the working of the fire department with minimum risks involved. We have been able to bring in various products that are created after thorough research to maximize safety for the community and its members. At Silent Partner Technology we aim for high potential to meet business needs and support to our clients should a problem arise? 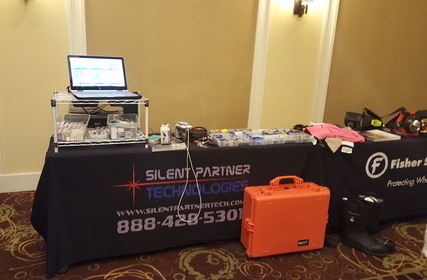 Silent Partner Technologies have always worked for the community and our staff takes great pride in creating products that have proved highly efficient when used by fire/EMS department. We work as an extension of your staff and provide all the technical resources to customize the products. ← IntelliView for iOS 1.3 Now Available!